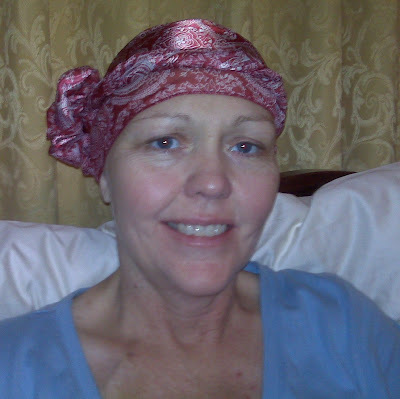 After a short courageous battle with cancer, Shelley Marie Conway, 47, was called home on November 26, 2008. A native to Arizona, Shelley was born May 15, 1961 and was named Shelley M. Shelley and nicknamed “Shelley Squared”. She married and raised 8 children and one husband! Even though a full time mother, she always made time to help and be involved with serving others in church, school, sports, politics and scouting. She knew by serving others she was serving God which fulfilled her life in every way. Shelley is survived by her husband and best friend Michael, first daughter Britney; sons, Taylor, Gannon, Colter, Lincoln, Prescott, Briggs and her last daughter Zaida Coleen; father, Eldon (Bobbie) Shelley; siblings, Robert Shelley, Richard (Debbie) Shelley, Lyn (Allen) Bracken and Eldona (Jim) Stevens; over 150 nephews, nieces and brothers and sisters-in-law not counting her many aunts, uncles and cousins. Preceded in death by her mother, Zaida Marian Shelley and brother, Asael Reed Shelley. 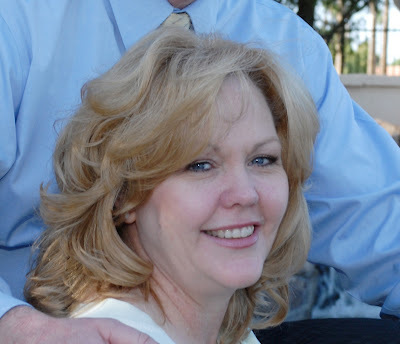 Visitation will be held 6-8:00 p.m. on Monday, Dec. 1, 2008 at Bueler Mortuary, 14 W. Hulet Dr. Chandler, AZ 85225. Funeral services will be at 10:00 a.m. on Tuesday, Dec. 2, 2008 at The San Tan LDS Stake Center, 4170 S. Ranch House Parkway, Gilbert, AZ. I have been thinking for several weeks what I was going to write if and when this time would come. It has not helped to think about it. Shelley my best friend for over 25 years passed away peacefully with family and friends by her side at 6:15pm Wednesday November 26 2008. We met in October 1982. I must admit I was so attracted to her the first time we met. I didn't even have the courage to ask her out. I found out later that she had seen me singing in a church function and turned to the person next to her and said "I am going to marry that guy". She was in charge of a young single adult outing to the snow. At church she asked me if I would be interested in going snow skiing. I said sure what time. When I showed up at 4am that Saturday it was only me and Shelley. I have for over 25 years given her a hard time about that, but the truth is she was so embarrassed. I think it was one of those supposed to happen kind of things. We talked all the way up to Sunrise Ski Resort and I knew before we got there that I wanted to spend eternity with her. We were married 4 months later. When you know, why wait. Our life together has been one of those fantastic rides. She has been a great friend, wife, mother, teacher, money bugeteer, handy women, wanting to please everyone, giver, companion, confidant and many many more. I could tell Shelley anything. It didn't mean she wouldn't get mad at me for the bone headed things that I had done but she had a way to always make me feel good afterwards. This last week has been hard to watch. Everyday she would get worse and worse. I had been wondering what it was that was keeping her here because she was in so much pain. Shelley called for me on Friday night and when I got to her side she asked me to tell her that I loved her which I promptly did. She told me that she loved me and named all of the children and said she loved them also. She then said that she would see me in 30 to 40 years. She then kissed me and would not let me go. We both just cried. The next day she told me that she thought she was going to die that night because she saw many people in our room looking ready to help her to the other side. By Sunday night she had suffered several strokes and was unable to talk. When I came in at 11pm she woke up and I let her know that everything was ready for her to go, all she could do was put up her hand in the OK sign. So here I am its 12:30 am Thursday morning can't sleep and all the kids are in bed, I wish that I knew what she was doing. For 25 years we have done everything together and have always known what the other was doing. This I see will probably be the hardest thing for me. I love and miss her already. We have not put together the dates and times of the funeral but below is what I will be putting in the paper. I am leaning toward a viewing Monday night and the funeral Tuesday morning. If any of you have a special memory of Shelley please don't hesitate to post a comment because I think that someday it will be nice for our younger children to read. Thank you all so much for the things that have been done for Shelley and our family, I have been truly humbled. This will now be the 4th time that I have tried to update this blog. It has been difficult to write and I am sorry that its taken so long. I took Shelley back to the hospital on Friday November 7. She had not been able to keep any food down for at least 10 days. They administered a drug through her port as soon as we arrived(that's the line that they had put in 4 weeks earlier that pretty much goes straight to her heart). This quickly put her at ease and she gradually began to stop vomiting. The doctor thought it would be a good idea to run another MRI and CT scan to see how things were progressing. By Sat night November 8 Shelley began to lose her sight and speech. She was so frustrated, she wanted to talk but was unable to say anything which made her cry. It took us most of the day on Sunday to finally figure out which drugs were the most effective to keep her calm. It was difficult to see how frustrated she was and sorry to all the visitors that had to be turned away at the hospital. She had lost her speech from Saturday to Wednesday. On Wednesday morning the doctor came in to give me the news from the MRI and CT scan. He found that the chemo had no effect. The spots that he previously saw on her liver had now fully engulfed it not counting the other areas. He said that this type of cancer moves very fast. It also effects the blood which causes it to clot. This is what was causing the nausea, blindness and no speech. Other than the cancer that her body is fighting she has had multiple blood clots to the brain which is causing mini strokes. The news was hard for me to swallow when the doctor informed me that there would be nothing else that he could do and gave Shelley up 5 weeks to live. He gave me a prescription for Hospice of Arizona so that they could come into our home and help Shelley stay comfortable and without pain. After informing Shelley of the news we cried for a good half hour straight. We took her back home that day Wednesday November 12. Haley's sister, Jenny Gray works for Hospice and was there that evening. I wish that I could fix this, more than anything. I wish that I could take her place, but as our Stake President Matt Riggs(our church leader) said to us "the Lord knows that she is ready and Mike your not". He's right. I have been truly amazed at the many life's that Shelley has touched, church, school, community, my work etc. We have been helping her stay comfortable. She wanted to see Lincoln's last football game on Thursday November 13. Coach Campbell let the whole family sit at the end of the end zone and she was able to hear Lincoln's name over the intercom when he made a tackle. She could only muster enough strength to stay for the first half. Coach Beal also invited Shelley to watch Colter's game at Higley on Friday but 2 days in a row was just to much for her. After the game the booster club,( Moms Unite) Coach, and the team met at the end zone and presented us with a donation. Shelley loves Higley football and enjoyed being part of Moms unite in years past. As I stood with Taylor, Lincoln and Colter it was very emotional. Colter just took off his shoulder pads laid down on the field and cried, last game of high school football, a loss, and mom. I don't blame him a bit. With that by Friday Shelley's speech was back up to 60%. I thought that it would be good for Gannon (our 19 year old on a mission for our church in Dominican Republic) to talk to his mother one last time before she passes. He called on Saturday and after much tears from the news he talked to Shelley. Our whole family knelt beside the bed as they talked. It was a very tender moment and we all wished that we could put our arms around Gannon. I guess in a way we did. All of us held Shelley for most of the night Saturday as her breathing became labored. Shauna Tucker (step sister-in-law and friend) had called me earlier that day and asked me if she could come over on Sunday and video tape Shelley giving some messages for the kids later in life. I called her Sunday morning and left her a message that she was welcome to come over but she no longer had her speech. I took the kids to church and when she got here she knelt down with Haley and Britney and asked the Lord to allow Shelley some more time to record some messages to her children. The Lord answered their prayer and Shelley was able to record several hours over the next 2 days. Shauna told me that Shelley said that she would be ready to go when she was done recording, I figure lets just keep her recording. I have wanted to stay with Shelley as much as I can. On Monday night November 17 Sam Flemming and friends held a benefit concert at the Higley performing arts center. The place was packed and I have heard that the performance was amazing. Shelley cried when I told her how many people attended. Brother Flemming thanks. The night of song, music, and laughs has made such a difference. Thanks to everyone that attended. Thanks also for the many that have kept Shelley in your prayers, I know that it has made a difference. We all want her to be healed but I now see that the Lord has another purpose for her. Shelley the night before we take her back to the hospital. Thanks for all your prayers....Shelley was able to come home today!!!! I know that we are not out of the woods, but just the same it is nice to have her home. She has been losing more and more of her hair. It was nice to have Sue Martinez come over to the hospital before she left. Sue has several wigs that Shelley likes. They did hair, nails, make up and had a good laugh when Shelley almost fell in the toilet with Sue. As Shelley said later you just have to have a good laugh at those things. Big thanks to my sisters Carol, Connie, Sandra, Cindy, Tina, Nikki, Janeen and the many volunteers that helped to make over our Master Bedroom. The time and materials that everyone donated was truly amazing. Shelley cried for a good half hour when she saw it and every time she opens her eyes she can hardly believe the room that she is in. She said she feels like she is in the presidential suite of a 5 star hotel. Thanks again, I know that it will make a difference on how she feels. We are watching over her almost every min since she came home. Infection is the biggest problem, if she gets one she'll be back in the hospital. We will have an in-home nurse come 2 times a week. Shelley is looking forward to having visitors come over but the doctors have warned us to only have people that are healthy. Sorry no sickies, ha ha. Shelley has asked me to give everyone the details on what has happened over the last couple of weeks. Shelley has had some good days and then bad days. Unfortunately the bad days have been outweighing the good. For the first 2 days after chemo she felt pretty good and was eating great. After that its been a roller coaster ride. Everyday for the first week Shelley's white blood cells were down and it was necessary for her to be on multiple antibiotics as well as having a shot of something to her stomach. Everyday since the chemo she has experienced high fevers and cold chills. She is either very hot or very cold. For the first week to 10 days her body just ached. She has been on Morphine and a drug that calms her down every 2 to 4 hrs. Her breathing has been labored and it is necessary to have respiratory every 4 hours. On Monday last week she started bleeding vaginally and also from her nose. The bleeding was so bad that it was necessary to change her bedding 4 times a day for 2 days. She went through 8 transfusions and 4 units of plasma in that 2 or 3 day period. As she slept the blood from her nose would drain to her stomach and when I got there in the morning she would be throwing up blood, this gave me a big scare. They have been cautious not to give her plasma because of her cloating problem. As a result of the bleeding there was no choice. As soon as she received the plasma her leg got a large blood clot and swelled twice its size. At that point we were thankful that they had put in the filter the week before. Once the bleeding had slowed they had her OBGYN come in to see if he had any suggestions. On Saturday he did an operation to stop the vaginal bleeding and we will find out today if there is cancer in her uterus. This has been a debate with the doctors on weather she does or does not have cancer there. While he was stopping the bleeding he sent a sample to pathology to know for positive what it is. If there is cancer she may need to have a hysterectomy. On Friday last week we were informed by the pulmonary doctor that she has something else in her lung and he wanted to do another bronc. We didn't feel good about it at all. The procedure would need to go through the nose and scrub the lung with saline. This would have a good chance to cause pneumonia which she is barely getting over. Instead of the bronc they went in yesterday and put a needle into her back and removed about 600ml (about 36oz) of fluid from her lungs. They are saying that the fluid is caused by the cancer and depending on the person she may need to have it drained from once every day to once a month. Shelley is still having a great deal of pain with her head and her left eye is drooping at times. With all this Shelley has been a great trooper and I have been rendered breathless by her valiante courage.